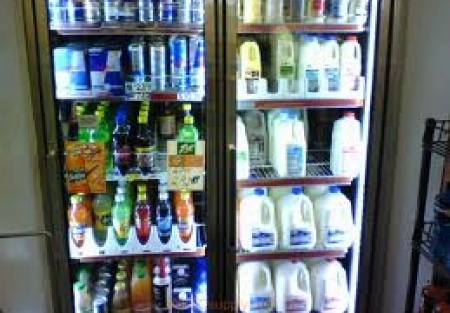 * This is a convenience store for sale located in Modesto CA - Stanislaus County. * The store is surrounded by residential area and near downtown Modesto area. * The store is good size with ample parking area and good traffic exposure. * Store sale is upto $45,000 per month with good profit margin, as per owner. Not verify by broker. * The store has 20 Door walk-in cooler for storage of drinks, and other food items. * Monthly Lotto Lottery Sale, EBT service available. * The sale include beer & wine license and buyer may apply to bring hard liquor license to make a full liquor store. * Opportunity: The buyer may check with different franchisors so there may be possibility to bring 7-11 store or other franchise. * This store has been since 2010 at this same location and it has loyal local customers. * Rent is about $1500 per month (less compare to size of the store). * Lease: Buyer may get long lease. * Owner may finance the sale for qualified buyer. SIGN NDA ONLINE AND CALL OR EMAIL US TO DISCUSS.